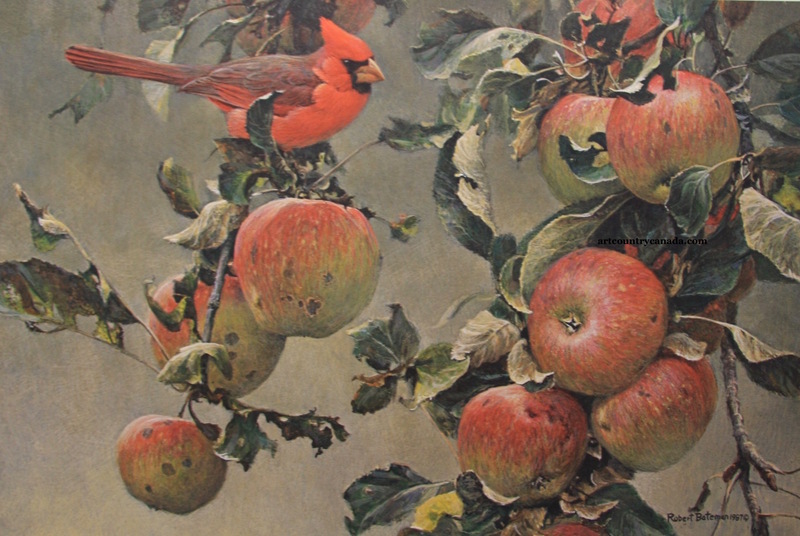 " CARDINAL AND WILD APPLES "
a female cardinal (after all, one-half of the cardinals in the world are female). it some competition with a few spectacular and juicy apples. almost totally lacking in sourness . . . just to my taste. from generations of twigs grafted from one tree on Mr. McIntosh's farm near Toronto. Taxi. . . "give me spots on my apples but leave me the birds and the bees."